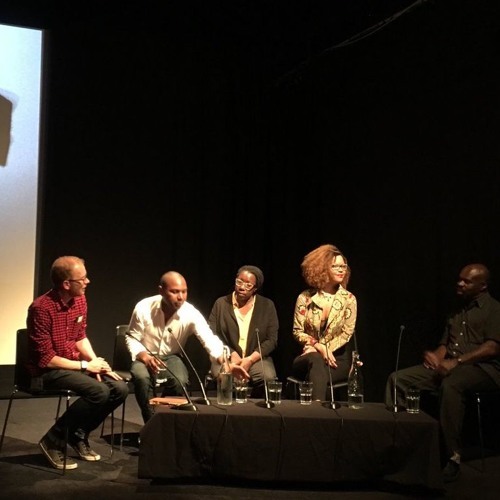 As part of the BFI's Animation 2018 season at the BFI Southbank a group of black British artists were invited to share some of their work and experience in animation with an audience. After an introduction by Osbert Parker and a selected screening programme, a panel discussion was held with Osbert, Maybelle Peters, Keith Piper and Phoebe Boswell, chaired by the BFI’s animation curator, Jez Stewart. We are delighted to share with you the audio of the discussion section of the evening and the following audience Q&A. Films shown: · Clothes (Osbert Parker, 1988) · Film Noir (Osbert Parker, 2005) [excerpt available to view online here: https://vimeo.com/53209171] · Mama Lou (Maybelle Peters, 1994) · Go West Young Man (Keith Piper, 1996) [available to view online here: https://vimeo.com/85041307] · the words i do not have yet (Phoebe Boswell, 2016) The Animation 2018 season continues with a wide variety of events and screenings at the BFI Southbank till the end of year.